How to bring traditional southern barbeque to Northern Illinois. After years of cooking for family and friends, the search began. What kind of smoker can do this? After many months of research we decided on the Lang Company. Their design was true barbeque! We purchased our smoker in 2009 and got to work! 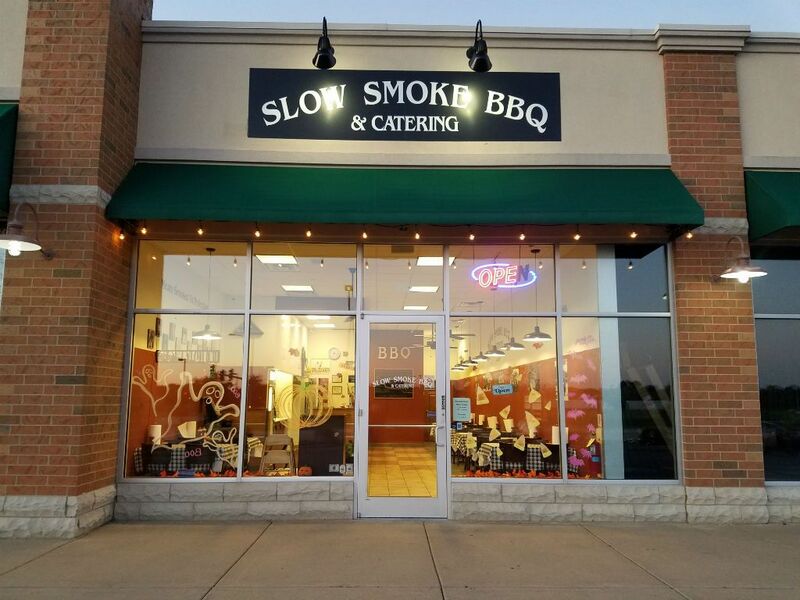 Slow Smoke opened its doors in the spring of 2010. After developing our own blend of spices for the rub and cutting all of the wood from our own land, we were ready. For the first three years we focused on catering events large and small. In 2013, we took it one step further. We researched food trailers. 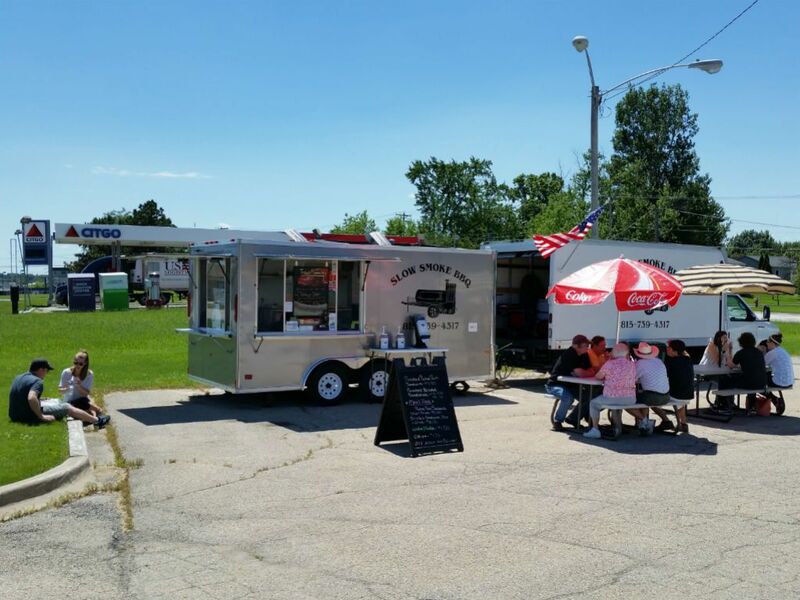 After months in the off season, we ordered a custom food trailer from Royal Coach and began turning up at many events around town. In April 2017 we took our final step, and opened up a restaurant in our hometown Sycamore, IL. There were no doubts where we wanted our restaurant, we knew Sycamore was the place. 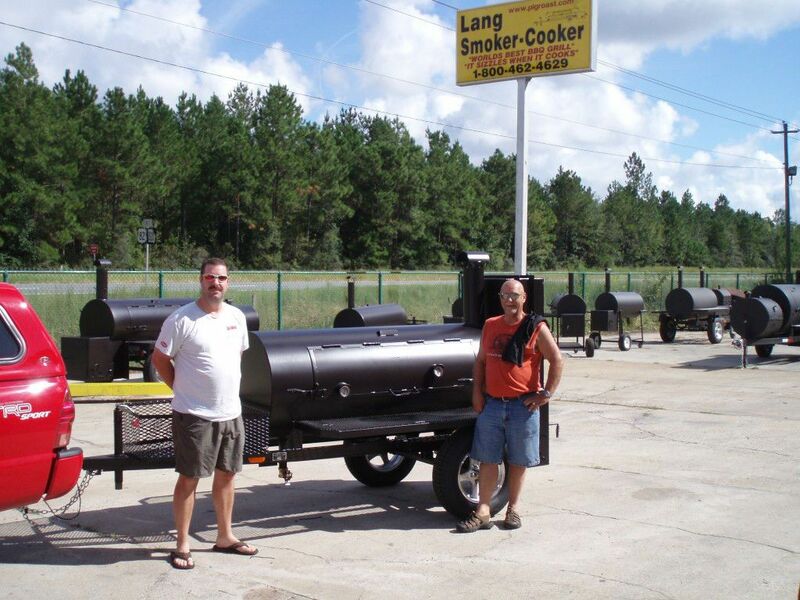 Starting a restaurant meant we needed another smoker! So we purchased an additional smoker for the restaurant, a Southern Pride smoker large enough to handle the large quantities of meat smoked daily. We feel so blessed at the response to a true southern barbeque in the area and look forward to serving our community for many years to come!